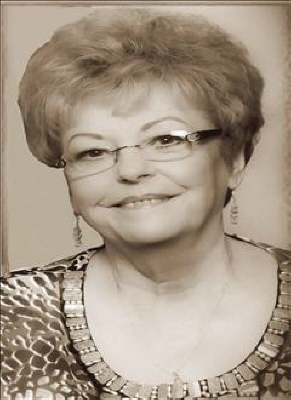 Shirley Ralston, 78 year old Woodward resident, passed away Sunday, February 3, 2019 in Woodward. A memorial service will be held at 11:00 a.m. Friday, February 8, 2019 at the New Horizon United Methodist Church with Reverend Scott Ware officiating. A private family burial will be held at a later date. Arrangements are under the direction of the Billings Funeral Home. Shirley Lee (Olson) Ralston was born July 14, 1940 in Freedom, Oklahoma to Wilbur Lee and Edna Fay (Denny) Olson. She grew up in Freedom and graduated from Freedom High School. Shirley attended college at Northwestern Oklahoma State University. She was united in marriage to Nolan Dean Ralston on July 21, 1962 in Waynoka, Oklahoma. They made their first home in Waynoka and later they lived in Mooreland and Woodward. She worked at the Golden Crust Bakery in Alva, Oklahoma, but was a homemaker most of her life. She loved spending time with her family. She was a member of the New Horizon United Methodist Church. She loved reading, watching OKC Thunder basketball, reading cookbooks, and Shirley loved doing anything that involved her grandchildren. Shirley was a member of the YHO in Waynoka. She loved spending time with her friends, family, and playing card games. Shirley is survived by her husband Nolan Ralston of the home; two sons, Jeff Ralston and wife Patti of Fargo, Jay Ralston and wife Connie of Stillwater; six grandchildren, Miriah Ralston, Coley and Christien Sager, Bart Ralston, Jessie Ralston, and Haydn Ralston; one great-grandchild, Charles Beckham Sager VII; one sister Marillyn Harmon and husband Ted of Morrison, Oklahoma; other relatives and friends. She was preceded in death by her parents and several loving aunts and uncles. Memorial contributions may be made to the Freedom Museum with the funeral home accepting the contributions. To send flowers or a remembrance gift to the family of Shirley L Ralston, please visit our Tribute Store. "Email Address" would like to share the life celebration of Shirley L Ralston. Click on the "link" to go to share a favorite memory or leave a condolence message for the family.